darkSpyro - Spyro and Skylanders Forum - Skylanders: Lost Islands - This game has gone too far! 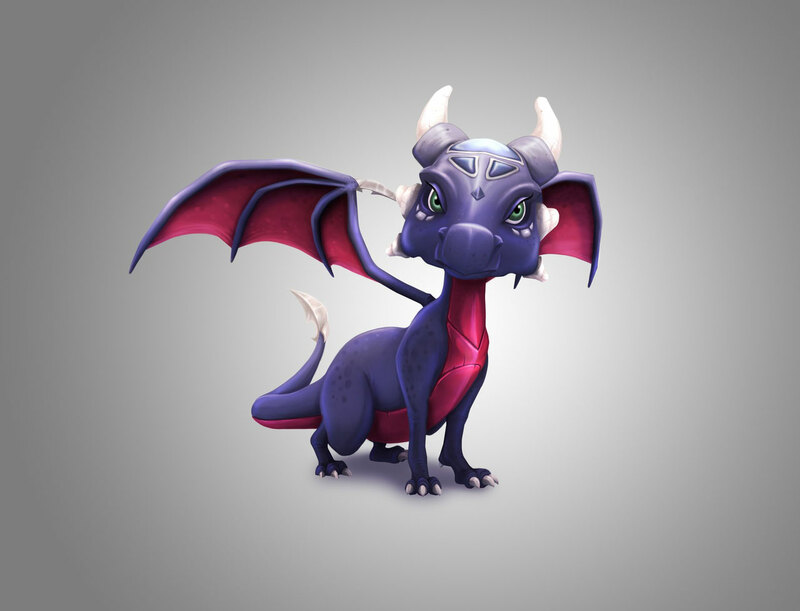 darkSpyro - Spyro and Skylanders Forum > Skylanders Mobile > Skylanders: Lost Islands > This game has gone too far! 1500 gems for an in-game only skylanger. Or a lotto to win it. For some one that takes pride of owning every skylander in all of the games this is a big disappointmeant to me. I mean that is like 25$, that is over 2X the price of a "real skylander" for a in-game only skylander that only works in 1 game. I am some one that likes to spend $ in Phone games, I have bought lots of stuff in this game with $, but this is an outrage. I am not going to spend 25$ on a digital skylander (there is not even a cloud save so if my game gets corrupted I would loose it). I will try to get it in game but if I dont I have a good mind to delete the app and never play Lost Islands again (this coming form some one that bought the battalgrounds starter kit and has every skylander ,even all in-game variances like gnarly tree rex). Im sorry but this has just gone to far. Agreed....who comes up with that price? They completely missed the mark. True, but it's a bad precident - especially if they ever decided to go that direction in the console games. Imagine if they made an area which required a "Granite" Skylander to be able to access in Skylanders III. For the lucky few that won the real-life roulette and found one in a store, they'd be all set. Everyone else would need to spend unnecessary amounts of real-life cash to access that location. If they did that, you'd see a LOT more complaining. There are also people who only want "physical" versions of the Skylanders that they play with in-game. Instead of adding rarer variants like Punch Pop Fizz, they've made one that doesn't actually exist as a figure and never will. Many people wouldn't be happy with that even if the character was FREE in-game. Since it's pretty apparent they'll be adding new limited-edition Skylanders (without actual figures based on them) on a monthly basis, I imagine I'm done with the game now, myself. They needed to add more islands, new content, or raising the Kingdom / Skylander maximum levels to give me something to do after I hit Kingdom Level 30. This wasn't exactly what I expected. Wow an even bigger low, I just leveled up to level 25 to use my "spin to get a free skylander" cus i have all but the new 1500 gem one, so i figuerd I would get it that way. And I did not get a spin. So you cant get it from the spin for a skylander. Ok I think im done with this mess they call a game till they fix this. Love how they say 1500 is a "Special Price". Man I wish I had the $ back I spent buying stuff in this game, but I can tell you one thing I will not be spending even 1 more cent in lost islands tell they fix this. Edit: This is a kids game do you think kids have 25$ to spend on digital content? This is appalling! You can almost buy a New game for that. "Momie Thay added a new skylander for valentines day can I get it?" Mom looks at game 25$ Im sorry no way. What a happey haliday this is for the kids. This is a new low. It's just how they work unfortunately. What bugs me is that the developers are adding limited edition items and not listening to users feedback on what new features (more Kingdom levels, more islands, social features, adding in-game variants, etc) to add. I have no problem paying $ to get stuff in these kinds of games, the problem is how much they want for it 25$. A digital skylander that only works in 1 game should not cost more then a real skylander AKA it should cost 10$ at most and even that is pushing it, but 25$ this is just greedy. This is a game for kids (moms and dads will put $ on it to reword good behavior) like 5$ or 10$ but never like 25$ and the item is limited time so you cant save up for it. It also looks like this is the new thing where they will add a skylander like this every month or so, I could see puting on 10$ a month for this but 25$ is just to much for what this is, there are plenty of better thing you can get for 25$. Well it looks like im done with lost islands unless something changes. I'll agree that the game is like dragonvale in that regard - but the difference (in my opinion) between dragonvale and lost islands is the rate at which you can acquire gems. In Dragonvale, I felt that I always had enough gems. In fact, I had so many gems that I'd often speed up breeding processes so that I could have a better shot at getting a rare dragon early. Between the ability to "gift" gems to others, the colosseum granting 2-5 gems per day, and eventually the gemstone dragons, you always had a steady influx of gems. Last week, when gold chests were commonly appearing out of sheep and troll groups, I was excited that they might have fixed the "gem-flow" issue, but now that they've apparently nerfed the drop rate for those, we're back to a position of being completely gem-starved. I thought DragonVale had a great ratio of costs to flow of gems and availability of rare content. The "rare-breedable dragon" might have cost 2000 gems, but you could get them by breeding wisely and continually. I have hope for Lost Islands! The balance can be found! This game is pretty new. It can still improve alot. Btw i dont really care for this new kind of skylanders, they are pretty useless like all the other. Until they put more activities, when u have 1 of each element and every giants, u are pretty done with the game. To play devil's advocate, though, it took awhile for Dragonvale to add all the various gem-boosting features. If they ever add social features, I expect a similar "share gems with your friends" feature to be added into this. And imagine trying to start Dragonvale brand new right now. I hadn't touched it in a half-year, went back to it just to be able to give gems to a nephew who started playing it. They were having the "buy any dragon ever released" special at that point - I believe it would have taken over 20,000 Gems to get all the dragons I was missing at that point. My main issue is still that they're missing the boat - Skylanders is an "interact with your figures in a virtual environment" game, not a "buy exclusive reskins that you'll never have a figure for" one. There will be another variant - lucky boomer - in march too. What's the new Skylander? i haven't been able to get my app to download the update. Also I thought this was a completely new Skylander we've never seen before but it's just a reskin so it shouldn't matter much. By the way, there's a new Wishing Well thing that you can win him in. Anyone seen one of those totems? Off-topic, but does anyone know what is up with DragonVale? I used to play it ALL THE TIME, and I've been wanting to get back into it for a while, but... Wait what's this about every dragon ever released special? On-topic... Yeah. I stopped playing a long time ago because it just got too boring. The Energy:Gold ratio is very poor, and you need Gems to speed it up... But then you need to either spend lots of money to get them or save them from unfairly low amounts by play for god knows how long. I'm just sticking with Skylanders Universe, as soon as I unlocked the Tech island and customized it a bit, I stopped, checked back only for the limited edition items that were available(Tree Rex's house and the winter items), which were very cheap, but the new, overly expensive limited edition Skylanders require far too much chance. The game was already bad enough with Gem-only items as it was. Tree Rex Statue gives you, what, one Gem every six hours? One gem every six hours!